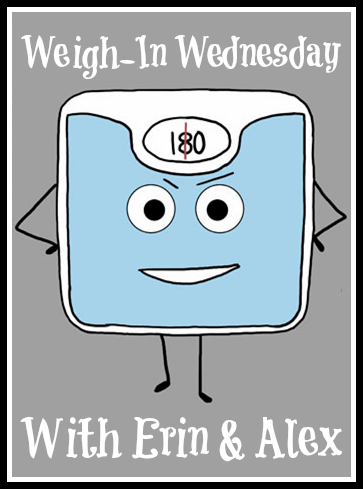 Last week when I blogged about how weight loss was getting easier, I had no idea what the next weigh in was going to bring. 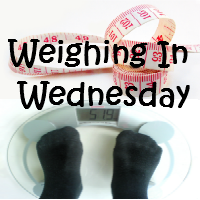 I weigh in on Fridays, but I thought to hold myself accountable that blogging for the Weighing in Wednesday would be most helpful. I stepped on the scale and thought it was messing with me. I stepped off and re-calibrated it. To recalibrate, I need to take all the batteries out, put them back in, place the scale on the ground, put some weight on it, and the wait for it to go back to zeroes. After doing all of this, I stepped back on and the scale gave me the same number. I had indeed lost 3.6 pounds! I was ecstatic about that number, but then I realized that with this weigh in, I had met my first goal. My goal was 30 pounds and I am now at a 32 pound loss! Over the last thirty pounds I have learned that I may not starve to death, even though it feels like it is impending. Portion control, emotion control, and exercise are some of the steps that I needed to take. It is amazing how I need to teach myself these simple things, but without the mental changes, the weight would definitely not be coming off. I'm really excited to get to goal two. It will be 24 more pounds! These days I know I can do it. Weight loss is possible. How are you doing with some of your goals that you have set for yourself?